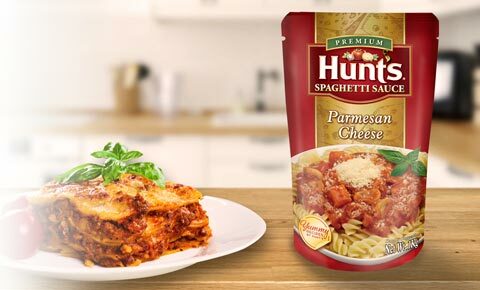 Your favorite tomato-rich spaghetti sauce now cheesier with its generous and creamy mix of Parmesan & Romano cheese. 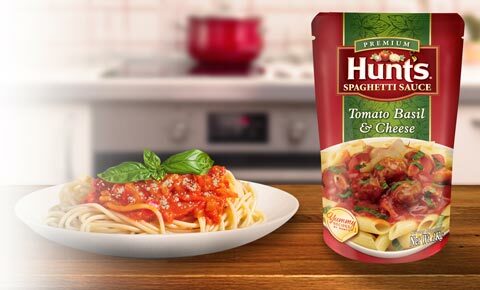 Pour it on for a rich pasta experience! 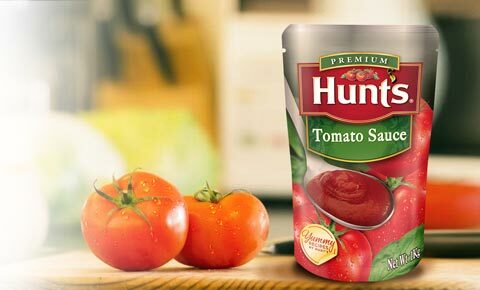 Create more flavorful dishes with this thick and rich sauce made from vine-ripened tomatoes and select culinary spices. 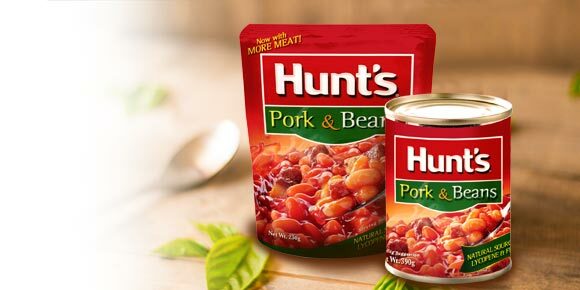 Hunt's Pork and Beans is made from high quality Great Northern Beans and real pork bits covered in a rich, thick, sweet tomato sauce. It's packed with delicious beans which is a natural source of fiber that aids in digestion and helps maintains your body weight. Eat it straight from the can or pouch or add it to your ordinary fried dishes for a more exciting meal. Craving for a good tasting barbecue meal? 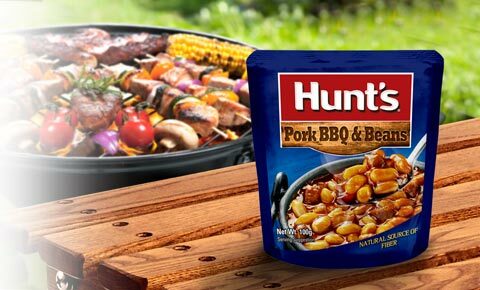 Try Hunt's Pork Barbecue and Beans. 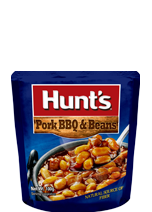 It's made perfect with real pork and beans in a smoky, spicy barbecue sauce for extra goodness. Its sweet-spicy blend is best partnered with rice. Every pouch of Hunt's Chili Beef & Beans is made perfect with slow-cooked ground beef and beans in a Mexican-style chili sauce. 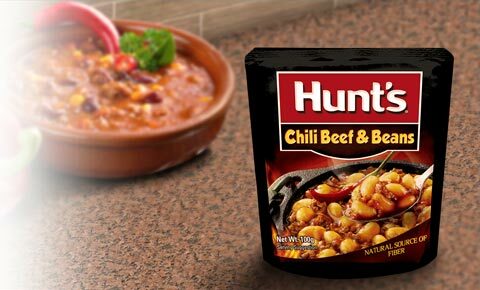 Having spicy chilidogs, nachos or chili con carne is now a breeze to prepare! The right balance of sweet-sour taste, rich tomato flavor, and fragrant Italian herbs make for a distinctly refined culinary sauce. Delizioso! A sweet and delicious blend of cheddar cheese and kids' favorite hotdog taste. 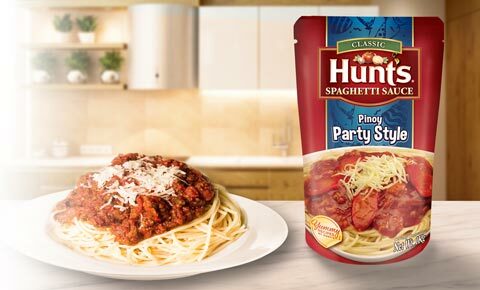 Make parties more fun with this sweet, meaty and cheesy spaghetti sauce!